"DEBATING THE CASE FOR A FULL-FLEDGED WAR"
I am as sad and as angry as one can be over the atrocious terrorist act of the ONLF. However, as a result of overcoming my preliminary dictating peripheral senses, I am still refraining from making a sweeping call for a full-fledged war against Shaebia in haste. For one thing, a full-fledged war requires great planning and is not based on retribution but on a cool headed thinking to bring about a lasting peace. For another, a full-fledged war requires a temporary pause on the regular life cycle of a nation and thus is the most disruptive phenomenon to be taken seriously. Having said that, however, I am sure that the already existing military plan on hand to thwart Shabia is being enhanced for execution in due time, if and as it becomes the last resort left in our hands. Out of frustration, however, some in the Diaspora and some from back home, are now pressing the government into taking a decisive military action against Shaebia. Their argument for a decisive military action is plain and simple. Until now, they say, Shaebia has been allowed to unturn every trick to destabilize our country and hamper our forward-looking existence. And, to remedy the predicament that our country is subjected to, they’re arguing with passion accentuating the fact that Shaebia has to be dealt with urgently once and for all. Consequent to Shaebia’s highly co-ordinated campaign of destabilization, some even go bolder in their assessment of the predicament that we are in, by alleging negligence on part of EPRDF’s leadership for not carrying out its duty, in securing the safety of our people and the integrity of our sovereignty. Their evidence for negligence is straight forward; the leadership till this moment has willfully failed to dethrone Shaebia with force. I think, this allegation is premised on a line of argument so stretched beyond the reach of any supporting evidence, it has surpassed its own life of breaking point. Nonetheless, all of our citizens from a mild to a bolder state of frustration in reference to Shaebia’s campaign of destabilization have a common theme; Shaebia has to be dealt with urgently once and for all in a decisive military operation. The rendering of this passionate and just verdict for Shaebia’s in your face criminal involvement to destabilize Ethiopia would have been an automatic one, had we had a tenacious and a swift international court of law. Unfortunately, forced by Shaebia and company to fill this vacuum for such court of law, we are setting up the least desirable means of rendering justice in the form of war. Before embarking on dispensing this form of justice however, we need to analyze the conditions under which a full-fledged war needs to be executed in conjunction with a clear cut strategic objectives that our nation aspires to accomplish. Avoiding a full-fledged war against Shaebia in haste then becomes a process of debating, arguing, and critiquing one approach from another, one tactic and strategy from another tactic and strategy- a healthy and democratic process at heart for a nation which should be bent into fighting hunger over anger of the complex nature. Moreover, arguing, debating, and critiquing about the desirability of the means of rendering our version of justice and its exact time of dispensation creates a knowledge-based consent, either in favor of a full-fledged war or against it. A nation that goes to a full-fledged war without a knowledge-based consent is as likely to lose a war as a nation that goes without the consent of its people. It’s under this context that I will try to critically evaluate the two cases forwarded for a full-fledged war on Aigaforum. The first one is an article written by Solomon Medhanie and posted by Aigaforum for a short period of time for a reason that I have no clue about. The second one is an article written with a beautiful command by Teshome Abebe. 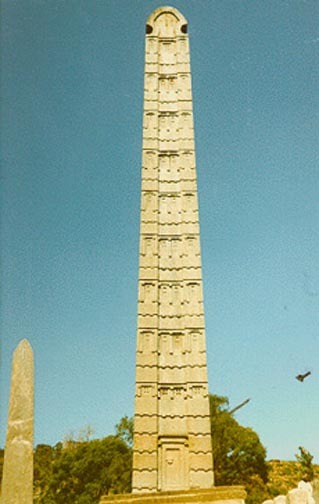 Both writers have a common theme in arguing for a full-fledged war against Shaebia and company, although, Teshome in his “PROUD COUNTRY BELITTLED” argues for a full-fledged war tacitly, and also against decentralizing matters of security to the ‘not so professional’ administrative regions openly. While, Solomon attributes the failure to safeguard those who perished in that cold blooded attack to the willful negligence of leaders of the EPRDF. In his article, “MY DEEPEST CONDOLENCES TO MOTHER ETHIOPIA & ITS CHILDREN,” Solomon begins by asking a compelling question that whether great Britain is just another foe or a friend for harboring the terrorist ONLF. The question encapsulates everything we should know before adhering to support any course of action that we think is deemed enough to dethrone Shaebia. If any, such a compelling question should have guided Solomon and the rest of us, whether warring in haste with Shabia in the mist of complicated relations with powerful actors, such as Great Britain is desirable. One should also bear in mind that politics at the level of abstruse international relations is so complicated and blood boiling that it requires the changing of an angry state of mind as a mandatory day to day practice of existence. Great Britain has no compelling interest to fight for the safety of Ethiopian and Chinese citizens working on an oil exploration venture unless it substitutes the Zhogyuan Petroleum Exploration Bureau and the Chinese citizens with British Petroleum (formerly Big Oil) and Britons. The British are in the mist of engulfing anxiety over the success of China’s increasing influence and investment in Africa. This anxiety has tentacles that reach beyond the political life of Great Britain. For example, after observing the superior mathematical skills of Chinese students, the UK’S Royal Society of Chemistry is offering a monetary prize to one “lucky but smart” person who answers a mathematical question from Chinese University Entrance Tests. And, according to BBC, this gesture by the UK’s Royal Society of Chemistry is also a warning about Britain’s future economic prospects in light of the inevitable competition that Britain is going to face from scientists in China-a daunting anxiety in this ever globalizing market of knowledge. The Britons are working to remedy this seemingly inevitable inferior economic and political standing of the future in the way they know best, by supporting any course of actions, which they know would mitigate this multifaceted anxiety of Britain over Chinese success. It’s not mystical then if Britain is to behave in conflicting diplomatic and political behavior. Conflicting diplomatic and political behavior, which we fancifully call hypocrisy has been exercised consistently by this historically exploitive and terrorizing nation while it ruled with vengeance to maximize its own interest worldwide. There is no dividend for Tony Blair’s Britain if Ethiopia is to have a wise leadership that stays clear from fattening the coffers of British Petroleum and the likes to the tunes of all meager resources. The strong stance of our leaders to have a better contract in relation to any specific exploration of resources means greater benefit to Ethiopians and less revenue to Britain. If Ethiopia is allowed to continue on this wise path of development to strengthen itself with more power to negotiate in any market, another anxiety will be in the making to the hopes of Britain in the horn where in about two decades every tenth African will be an Ethiopian. Thus, denigrating Ethiopia’s unity and it’s negotiating power in an international market comes as no surprise a tactic to those who are keen observers and researchers of the behavior of Britain in world affairs. Seen under this context, the harboring of the terrorist group of ONLF by Tony Blair of Britain is thus not that much mind-boggling, I would tell Solomon Medhanie. Teshome’s “PROUD COUNTRY BELITTLED” is an article written with a beautiful command. Nonetheless, a closer look at his argument raises few critical eyebrows. To begin with, the title is loaded and tells a story beyond what’s true about Ethiopia. All the incidents forwarded by Teshome as supporting evidences in ‘belittling’ Ethiopia are indeed evidences that I have no contention about. But what I contend is the fact whether these incidents have really belittled Ethiopia. Ethiopia, under the leadership of the EPRDF and despite all these setbacks is at this moment a daunting force to reckon with. After all, a setback here and there, and a setback now and then, cannot amount to a defeat that brings a proud country such us ours to its knees, while its Defense Forces are breaking some bones in a counter measure. Almost all the setbacks are the making of Shaebia, OLF, ONLF, and countries that do have issues with Ethiopia. These aggregated enemies of Ethiopia in my view have had the potential to do more harm than they have managed to do so, had we not been in the hands of crafty, military leaders. The strategic campaign inside Somalia is designed to turn the enemies of Ethiopia into the feeblest possible headaches, and attests to the fact that we are dealing with multiple enemies in that front. Shaebia, OLF, ONLF, and other enemies of Ethiopia have so far failed to register a ‘belittling’ blow in any front that I know of. Yes, at times those who are responsible for the security of our people might have caught asleep under the trigger. But keep in mind that there is no way to rid off Ethiopia from setbacks absolutely. The issue then becomes a matter of rectifying and enhancing our security apparatus as needed to drastically minimize the setbacks that we may encounter in the future. Is there a veto power swinging nation within the Security Council of the U.N. that stands to benefit from a decisive military victory over Shaeibia? For that matter, would China be pleased if we penetrate North to do away with Shaibia once and for all? In other words, would China be happy to lose any strategic interest in Eritrea in order to mitigate its anger over the lose of its citizens in Abole? But most important, should we assume that a decisive military victory over Shaebia to mean less havoc than we have? Are we to assume that our ‘greatness’ in the aftermath of Shaibias defeat begets fewer enemies? These few questions of the many questions I have in conjunction with our plan to do away with Shaibia require for the emergence of our coolest head. Our coolest head won the 1998-2000 wars with Shaebia. But nonetheless, the same type of frustration prevailed among our citizens and leaders alike. After Shaebia deliberately targeted the Mekele Elementary school in an air raid and killed scores of our children, it was told, that our premier, Meles Zenawi was furious and on the verge of dictated by the depth of his anger to route Shaebia to its abysmal death. As cool leaders do, Meles regained back his coolest senses in time and acknowledged that no angry heads would have plans for success in a war of immense magnitude. As for me, I am glad our government is not beating the drums of war to the tunes of our anger. And yet, despite its content manner in the face of setbacks and pressure from citizens, our government is as determined as it should be to squash the enemies of Ethiopia. The strategic campaign that our Defense Forces are undertaking in Somalia to deny Shaebia, OLF, ONLF, and other enemies of Ethiopia a springboard for their terrorist operations, is the single most important example, which substantiates the determination of our leaders to safeguard our people and our country. EPRDF’s alleged negligence in securing the safety of our people and the sovereignty of our country is therefore ludicrous. No setback requires an all out war in haste, especially for a nation like us with meager resources. Don’t forget that the U.S., which is at ease to trigger an all out war with a single button on Afghanistan took a while to do so. And still yet, neither I nor our government is ruling out from declaring a full-fledged war against Shaebia. There is no unwillingness to do a sweeping war in part of the EPRDF as some alleged, but only the unwillingness to do a sweeping war based on an anger, and a sense of retribution rather than on a compelling, impending, and an urgent reason for it.